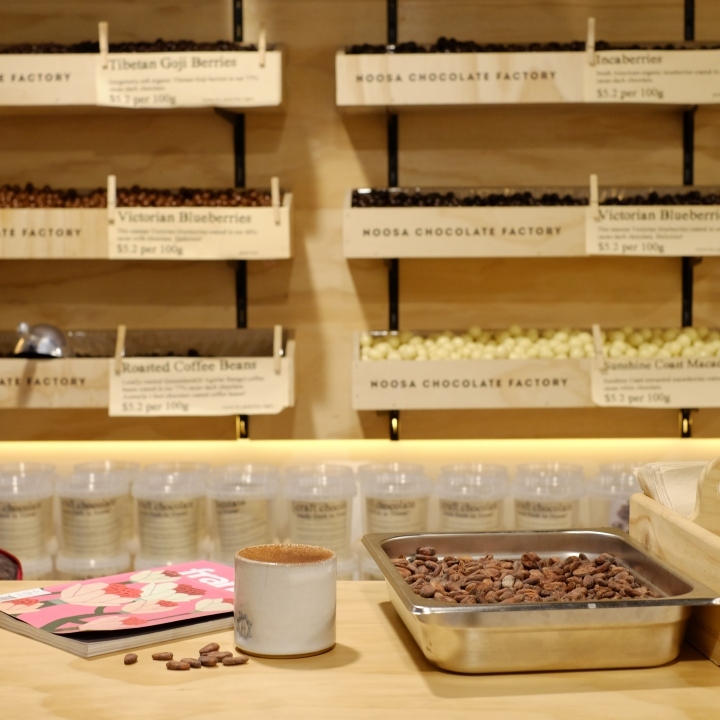 The Noosa Chocolate Factory has set up it’s 4th store in Queen Street Mall, Brisbane, Australia. 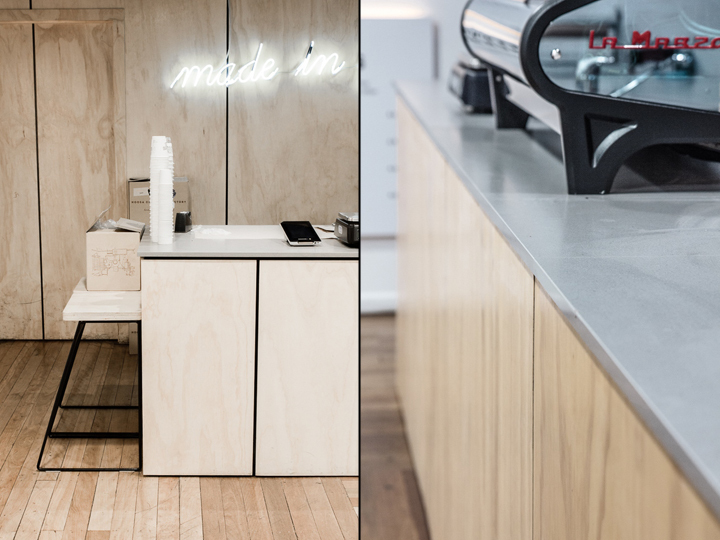 This speciality coffee and chocolate store houses the Noosa Chocolate Factory’s Papua New Guinea single origin, panning and slab range. 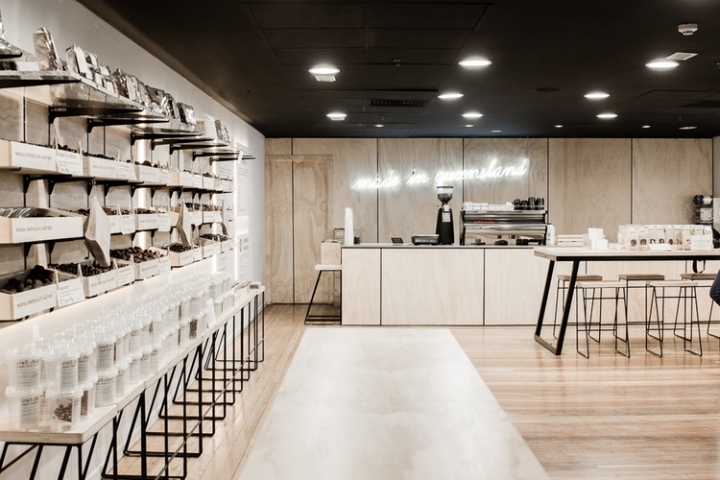 The shelving consists of 55 handmade pine crates screen-printed with the black Noosa Chocolate Factory logo. 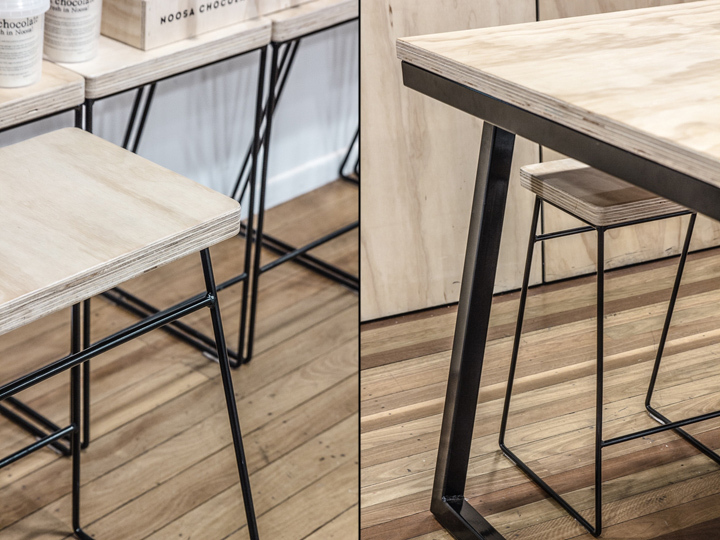 Australian made plywood panels serve to display the brands gift hampers and fresh rocky road products. 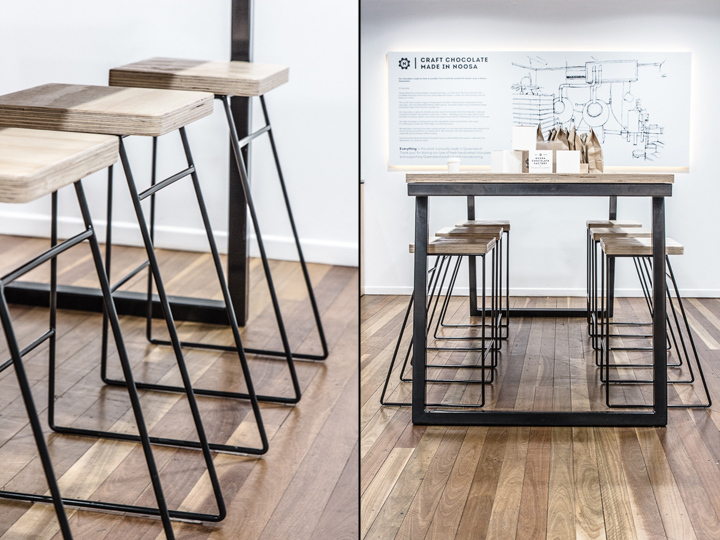 The 70sqm retail store has an impressive 5 tone Australian hardwood timber floor. 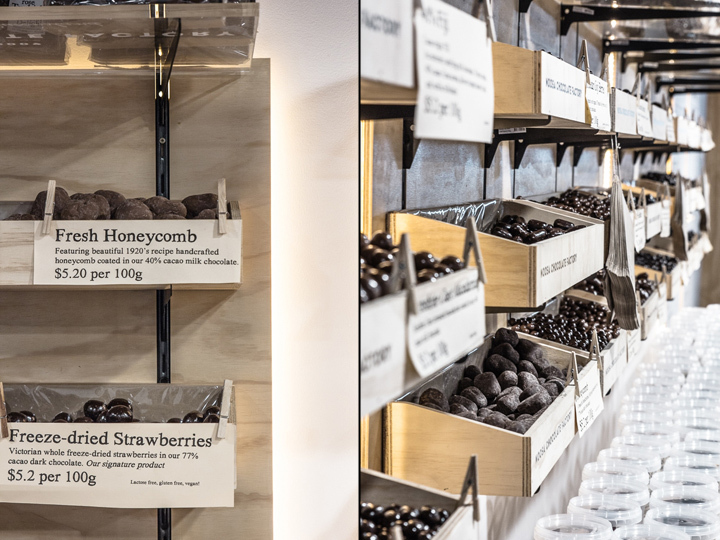 Timber, hand-made pottery and clean lines were embraced for the stores shopfit to capture the ethos of the Noosa Chocolate Factory Brand – fresh and uncomplicated Australian made chocolate products. 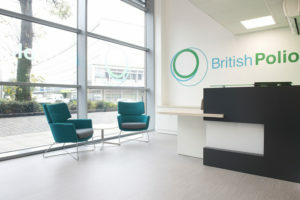 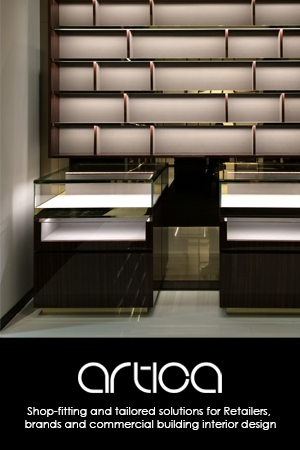 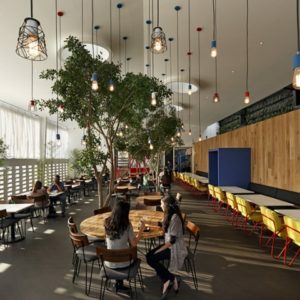 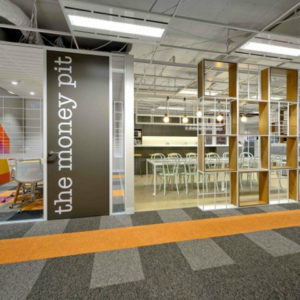 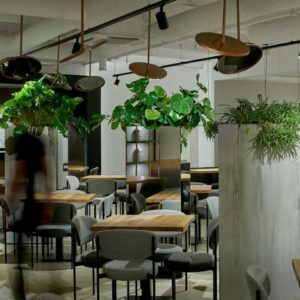 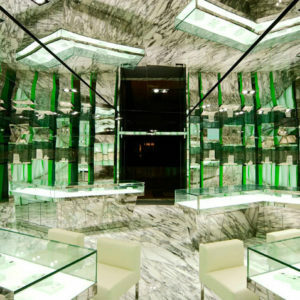 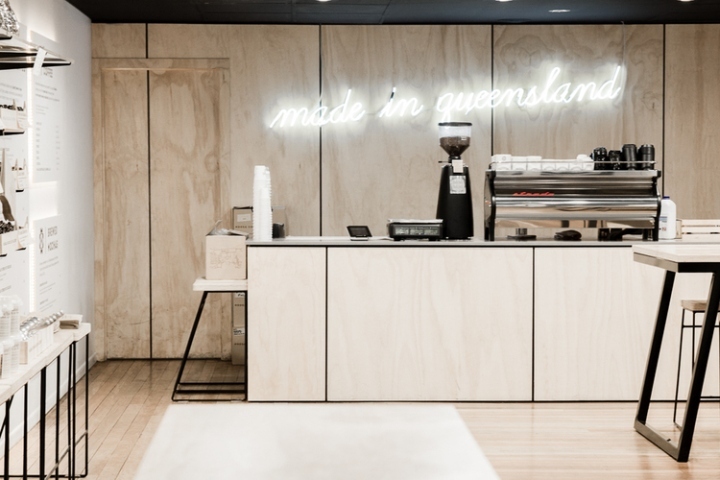 The entire fitout including all furniture was made in Queensland and installed by Wooster’s Carpentry.